We held our first meeting of the year on the last Friday of January. We thought it would be a great idea for our school to celebrate the forthcoming 'Chinese New Year' celebrations. 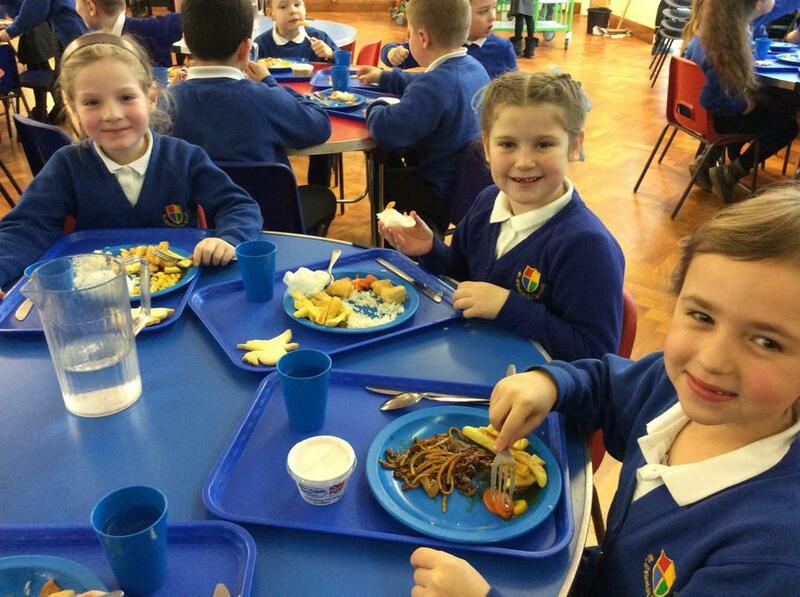 The council members collected ideas of Chinese food that each class would like to have on our lunchtime menu on Wednesday 6th February. 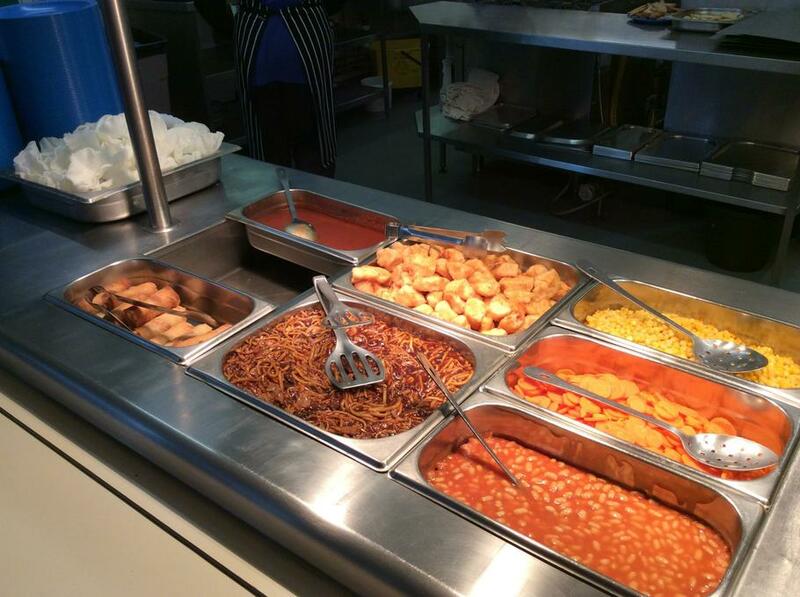 Mrs Gardner and the kitchen staff looked at our suggestions and have kindly agreed to prepare a wonderful Chinese banquet for our lunch. 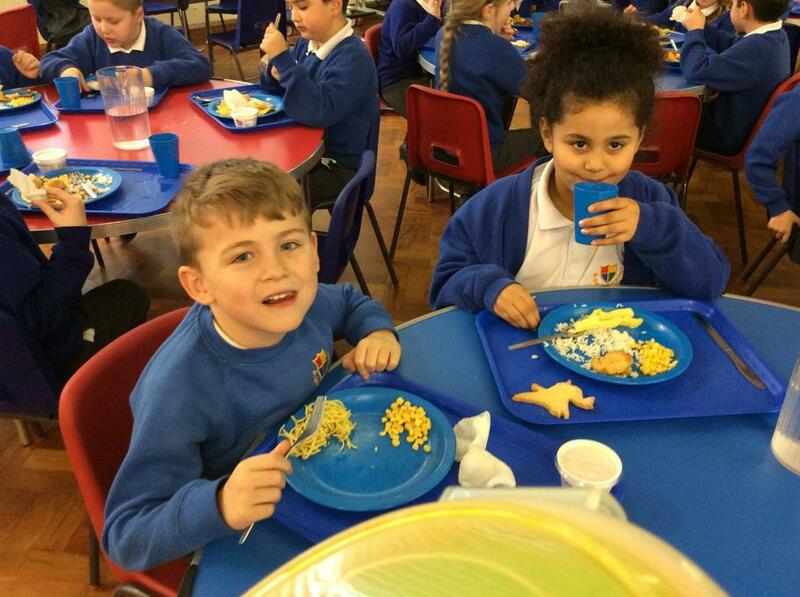 We have had a really successful celebration of 'Chinese New Year'. 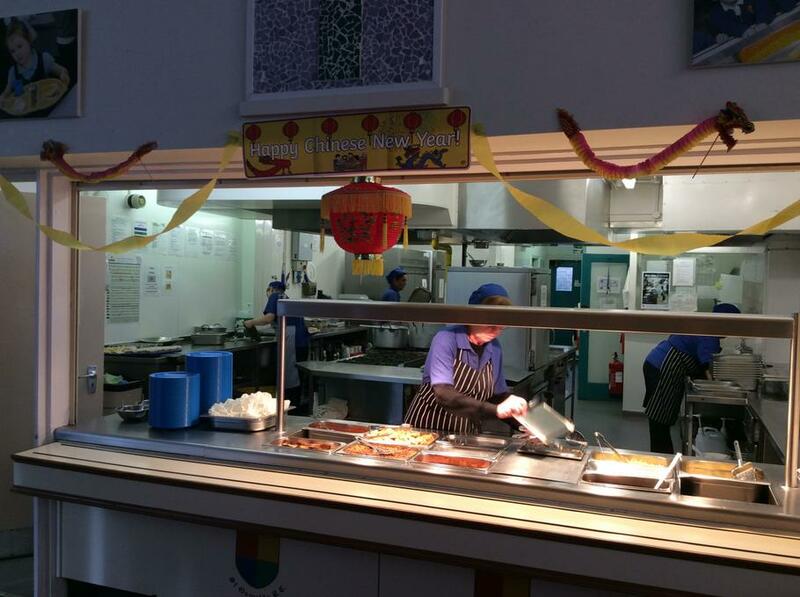 The Kitchen team provided us with a fantastic array of Chinese food. 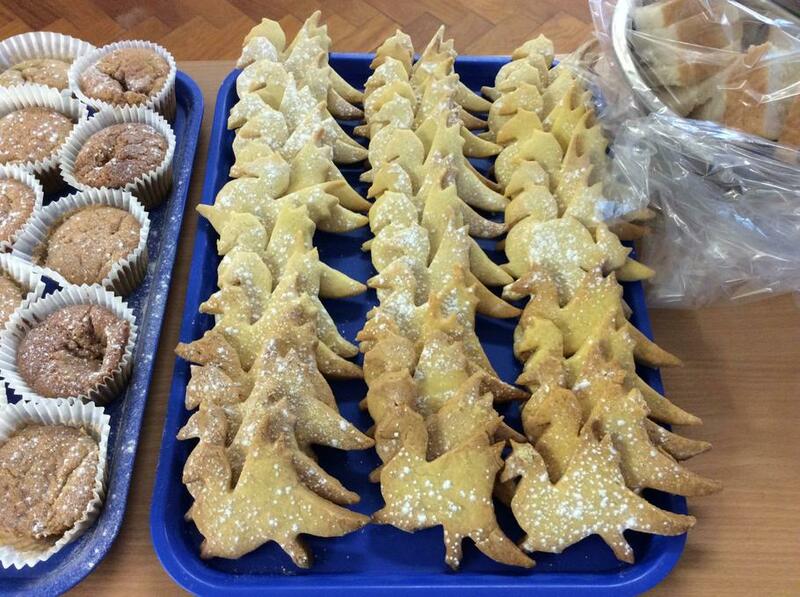 And by request from Lily in Year 4 ........Dragon biscuits! 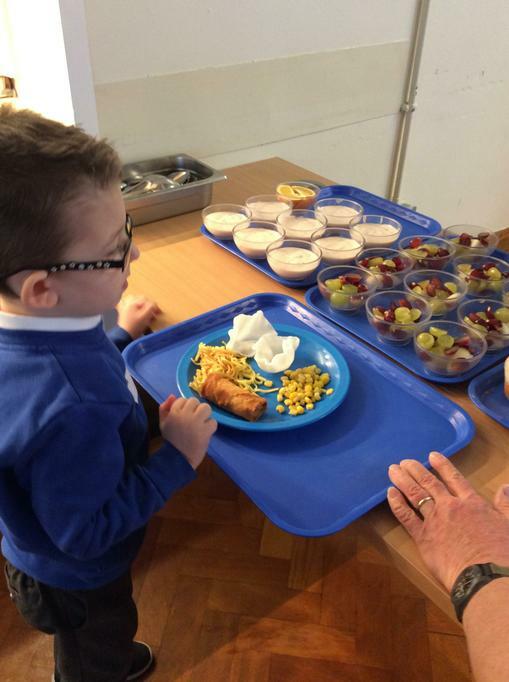 We had lots of positive comments from everyone! Guy - "I love the noodles." 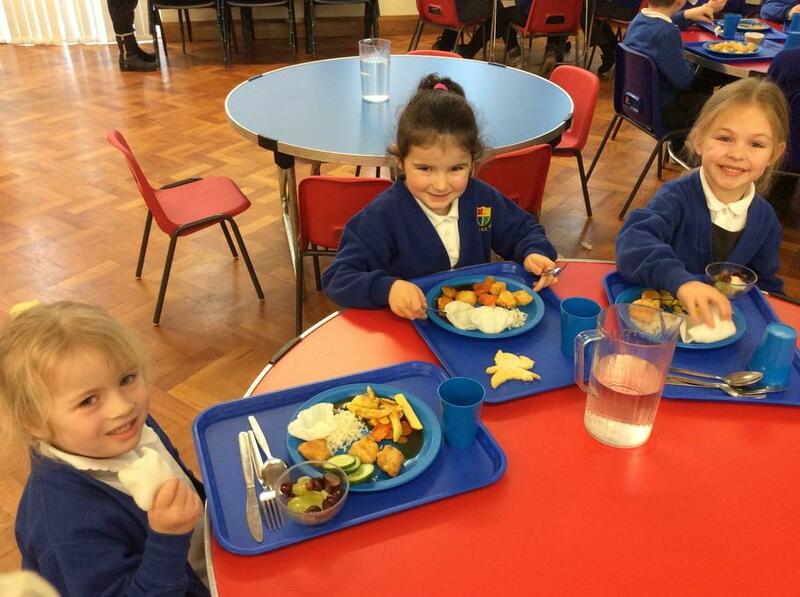 Allana - "It's amazing, I love it!" Emily - "I wish we could have it everyday." This Lent our School Council have been involved in organising Cafod’s ‘Give It Up Challenge’. 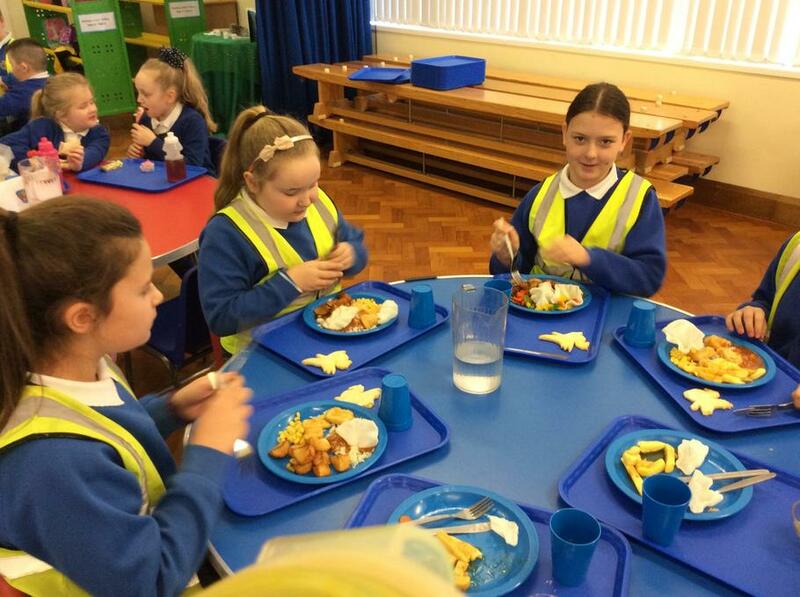 Each member had the responsibility of choosing the colour of fish for their class and to report back to their class how their classmates can support the charity this Easter. Each week the council members will count how much their class has donated in order to add ‘fish’ to the whole school display. Cafod's 'Give It Up' Challenge Update 22/3/19- We are doing fantastically well at giving things up for Lent! Lot's of people have wrote what the have given up in our School Council book ranging from chocolate, i pads and even teddy bears! Our display is becoming quickly covered in coloured 'fish' from all the classes and they're 28 'Rainbow Fish' displayed in the foyer from children who have donated £2.50 by giving something up. Well done everyone, keep it up!